Whether you or someone in your family is an activity junkie, thrill seeker, bird watcher or an eco warrior, there are so many ways to escape the city life in the UAE and soak up its amazing natural landscape. From its mountain ranges and desert reserves to its abundance of marine life, the UAE is not all skyscrapers and malls. 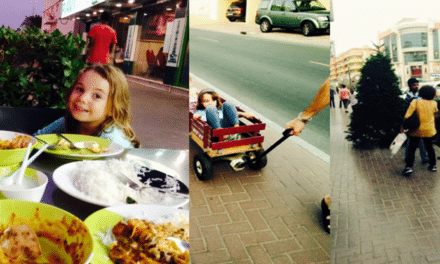 So here’s some of our personal picks for both family friendly and adrenaline rush activities across the Emirates that don’t need to break the bank. What Daughter of yours wouldn’t love this adventure? The Al Wadi nature reserve in RAK is home to a huge variety of wildlife including the Arabian Oryx and the Mountain and Sand Gazelle. The northern most Emirate has the most green desert you’ll find in the country, with amazing hues of red and brown through its sand, and after the wet winter, a carpet of vegetation dotted between the ghaf and sidr trees. 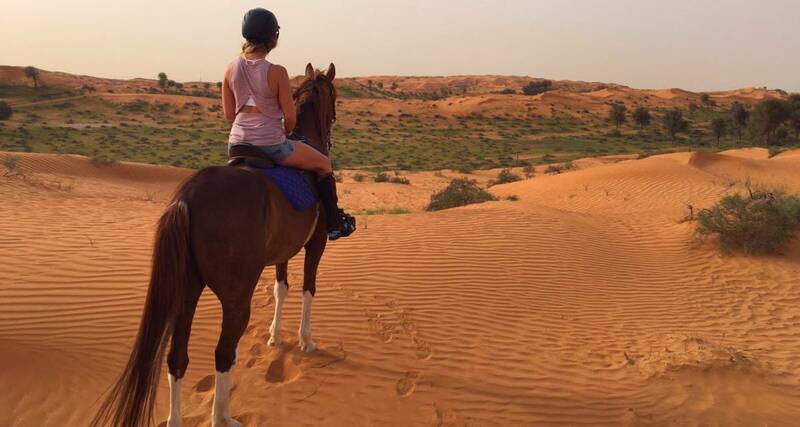 For a chance to see the unspoiled desert without the noise of an off road vehicle and nothing but the sound of the great outdoors, there is no better way than to do this on horseback. Not only is it better for the environment, allowing you to get up close and personal with the wild, but it’s a beautiful experience to see the surrounds from atop one of these majestic animals. Link in with a stay at the Al Wadi Ritz Carlton and with old fashioned push bikes to ride around the reserve, you have access to nature walks, star gazing, horse riding, falcon and owl exhibitions, in addition to the chance to see the wild oryx and gazelle grazing right on your doorstep. It’s a nature lover’s dream and whether you’re looking for some couple time for a romantic getaway or whether you want to see more of the UAE’s nature as a family, there’s so much to do. The trail routes in Hatta are an exciting addition to the country’s more mountainous terrain. It’s worth the hour’s drive away from Dubai to access the bike trails that are set across 50kms, that have been set up to cater for all levels, from beginner and childrens to extreme. For those of you who are more happy on two feet than two wheels, there are hiking routes available too. The protected area is being taken care of by a team of dedicated Emiratis at the local municipality, to ensure the least harm to the environment as possible. You can make a whole trip of this by going to the natural Hatta Pools and camping overnight at the area’s well equipped camp site. Just the drive out to Hatta is a fantastic way to see the variety of terrain across the UAE’s deserts, each Emirate having its own unique landscape, colours and even climate in some cases. If you’re looking for something for that special birthday, anniversary or to wow your visitors, then one of the most beautiful experiences you could ever imagine is sailing across the skies in a hot air balloon. However many times you’ve seen them in images and films, the experience of taking to the skies in one of these things is incredible. From the dramatic take off where it’s all flames blowing, to the silence of the sail, it puts the desert into perspective. Just a dot on the vast landscape, the villages below seem so insignificant as you cruise across the skies. There is nothing more refreshing than escaping the city and truly escaping into nature, and this was one experience which, though a little expensive, is a true experience. After the ride, you’ll be taken to camp where you have a delicious breakfast and get to take in the surroundings of Dubai’s vast desert, where if you’re lucky, you’ll see some of the wild roaming Oryx and Gazelle. Whether you’re a complete novice or looking for a little more of an adrenaline rush, there is something for everyone at Aventura in Dubai, which offers five different levels of zip lines for those looking for a taste of the high life, with varying degrees of length and height, everything from three to eight meters on average. This is a great day out for the family as there are other activities at the site including obstacle courses and all set amongst the stunning ghaf trees of Mushrif Park. At 150 AED for adults and 125 AED entrance for children, it’s pretty good value and and set among the forest, it really feels like you’re out of town. This is a great practice run if you’d like to get out into the mountains and have a go at the bigger lines in RAK. In Ras Al Khaimah’s Hajar Mountains, you can find yourself a little more of the outdoors adventure with its climax line 120m above land and 300m long. Via Ferrata offers a series of three zip lines, which are reached by scrambling along the mountains as you’re clipped to a line throughout, climbing and clambering up and down the rock ledge. The experience is good value at 400 AED and is a good one to challenge your husbands to get out and do something energetic! There are no more than eight people in a group at any one time, with three instructors escorting every group across the roughly 1km walk. Depending on the size of the group and fitness levels, the ledge walk experience can take between two and four hours. There are two more technical routes if you are more experienced. Children must be aged 12 and above. Ras Al Khaimah’s mangroves are home to a whole array of wildlife, the highlight of which is its large flamingo population. Found right in the heart of the city, beside the corniche, the mangroves are a bird watcher’s dream, home to species including great cormorants and crab plovers. In spite of its proximity to the city, once you’re on the water, the early morning peace and quiet is deafening, other than perhaps the distant call of the adjacent mosque. At just 50 AED per kayak, this is a great activity to get you out of the house without breaking the bank as well as getting active. If you go when it’s low tide, you’ll quickly see the flamingos, scattered around the area’s marshlands. Hire your kayaks from the International Marine Club, just beside the water ski club, but note it is closed Friday mornings and is not very formally run. In Abu Dhabi, its mangroves have been a protected area for several years and the activities around the area are much more organised and monitored than in its fellow northern emirate. Here you can find fish, herons, blue swimmer crabs and if you’re lucky, turtles. Check out the eco tours that cost 170 AED run by Noukhada.ae as they even offer mini kayaks for children. With all this inspiration, there’s no excuse to get outside and explore the great outdoors and all these brilliant family activities that the UAE offers! 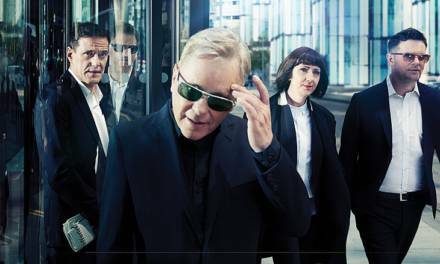 Special offer on New Order tickets – one day only!